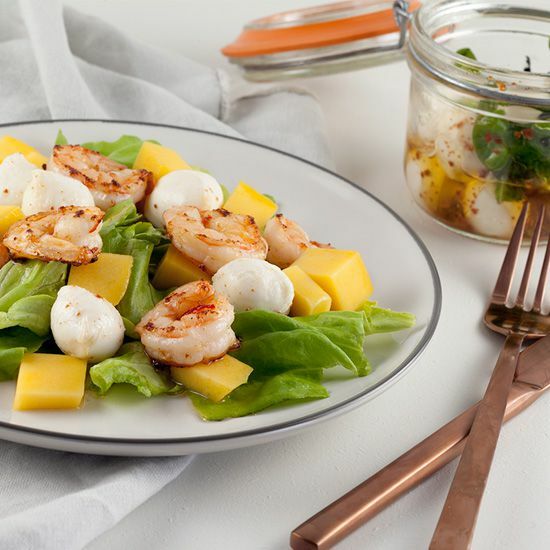 The weather isn't that great, but a lovely shrimp salad with mango and mozzarella can be eaten all year round! So delicious! 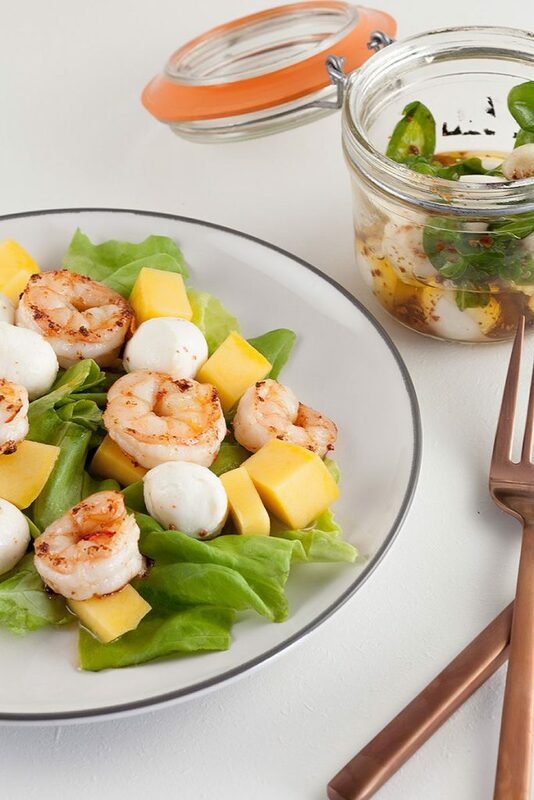 First make the recipe for marinated mozzarella, if you won’t do this, you can also use plain mozzarella and olive oil instead of the oil from the preserving jar. DEFROST the shrimps and if needed you also have to peel them and pat them dry using paper kitchen towels. If necessary, RINSE the lettuce and use a salad spinner to get rid of any excess water. PEEL the mango and slice into chunks. Make a quick dressing by combining a splash of white wine vinegar with pepper, salt and olive oil (from the preserving jar) until you’ve reached the desired thickness. REMOVE the seeds from the red chili pepper and roughly chop the pepper. 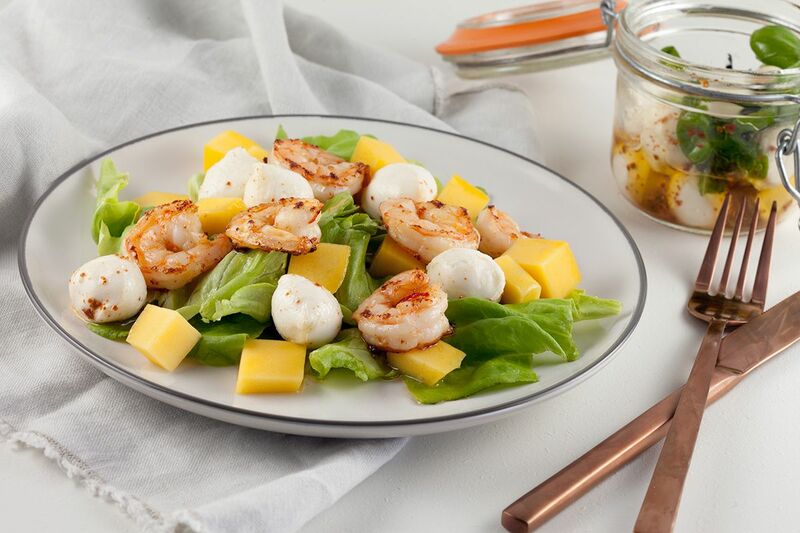 DIVIDE the lettuce, mozzarella and mango over 4 plates. HEAT olive oil (from the jar) in the skillet and shortly COOK the shrimps, then ADD the chopped pepper and cook for another few minutes. 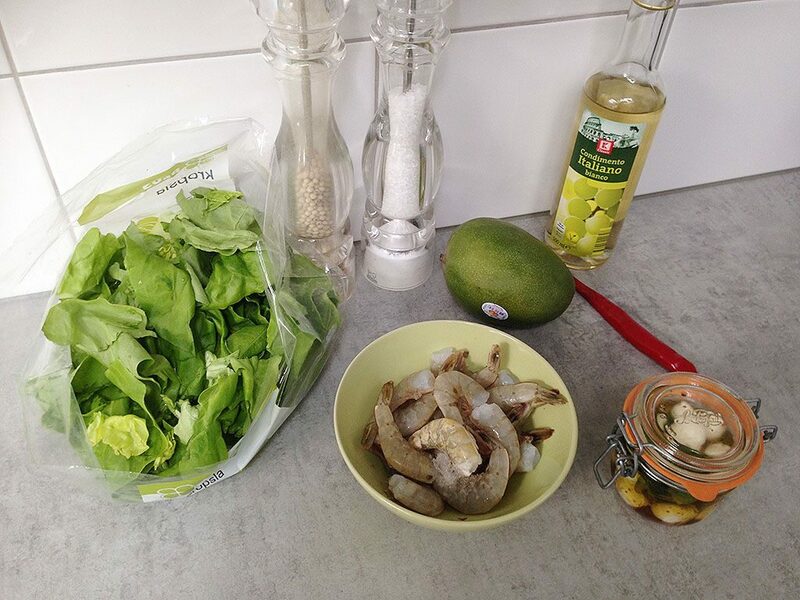 SEASON with pepper and salt and DIVIDE the shrimps over the lettuce. FINISH the salad with dressing and enjoy!